Planio lets you use agile methodologies such as Scrum, Kanban or Extreme programming for your projects. You can read a case study on exactly how Software AG, a customer, uses Planio to implement scrum by clicking here. What can you do with Planio's Agile App? Agile methodologies includes a group of software development methods such as Scrum, Kanban or Extreme programming. They’re all based on the idea that requirements and solutions evolve through collaboration between self-organizing, cross-functional teams. This tutorial will help you set up your account for one of these methodologies. 2. What can you do with Planio's Agile App? generate burndown charts, cumulative flow charts, velocity charts and more. 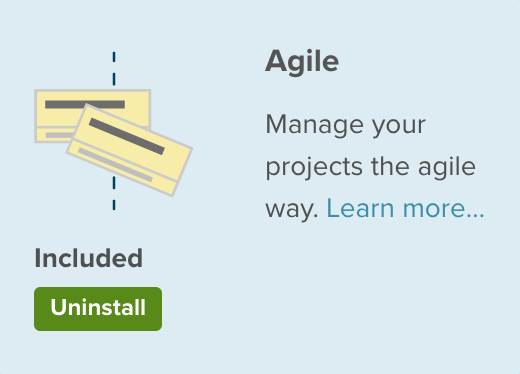 Make sure that the Agile app is installed. Go to the Apps tab and install the Agile app. We've found that you'll have the most success if you start off with a simple setup. Once you've completed a few sprints with Planio, you'll be in a better position to see which customizations make sense for you. If you don't have any issues in your project, add some issues now. Then, once your project has issues, it's time to plan your next sprint. 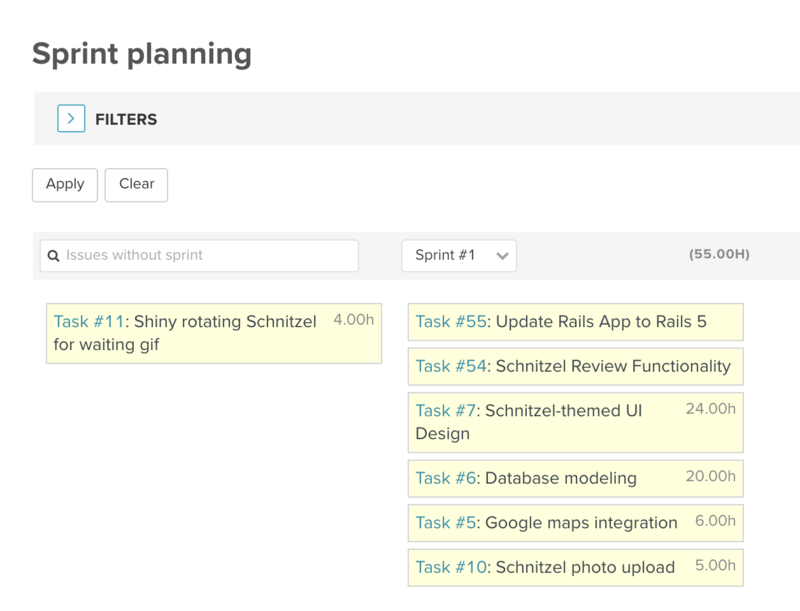 Go to your project's Agile board, then click on Sprint planning in the sidebar. Next, click on New Sprint. Give a name to your new sprint such as Sprint #1 and set the start date. Now, you can drag an issue from the Issues without sprint column to the sprint you just created. 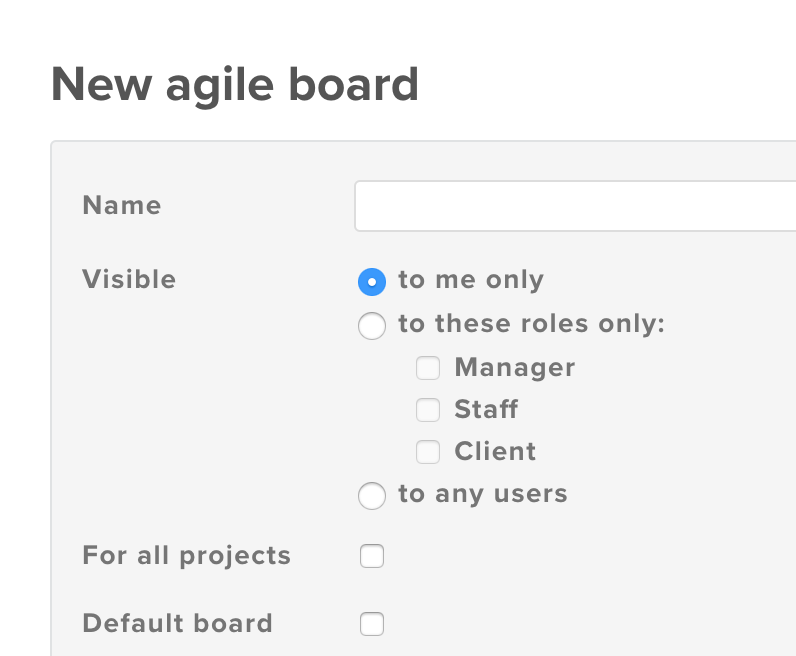 Click on Agile board in the navigation bar and you'll see the issues laid out on the Agile board. By default, you'll see all issues in the project, rather than just the issues for the current sprint. Therefore, we'll create and save a filter for the current sprint. Click on Add filter in the top right-hand corner and select the Sprint/Milestone. Make sure the Sprint/Milestone is set to the current sprint and click Save. On the next page, you can name this filter, make it visible to all users and set it as the default board, so you don't have to select this filter each time. It will appear in the right sidebar under My agile boards. 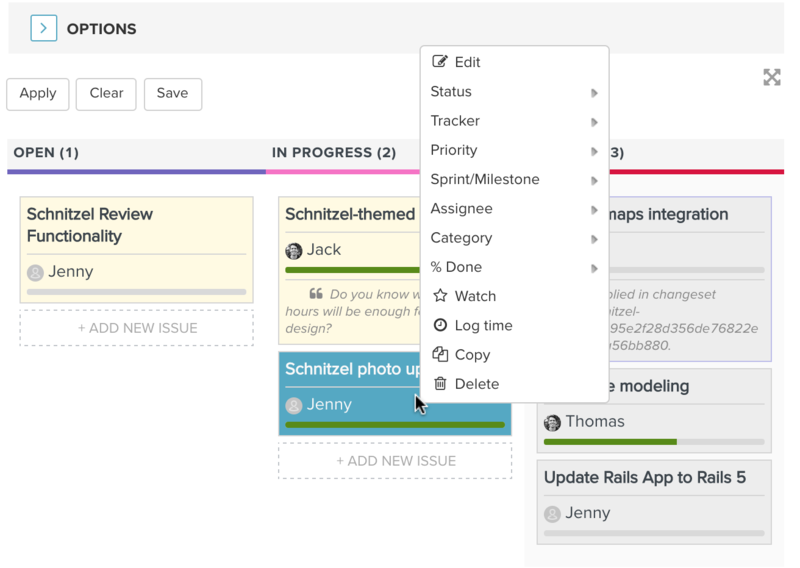 You can now drag and drop issues on your Agile board. You can also update items by right-clicking on them (Windows) or double-clicking on them (Mac). Estimating stories in terms of hours can lead to unproductive discussions about the exact amount of time a story will take. Mike Cohn gives the example of two runners discussing how long a 5K run will take. For one it may be 25 minutes, whereas for someone else it may be 45 minutes. Everyone, however, can agree that a 5K run is much shorter than a marathon. In a similar vein, story points let you move away from debating exactly how long a story will take and start talking about the relative investment for each story. In order to avoid points just being seen as hours, some teams use the Fibonacci sequence of 0, 1, 2, 3, 5, 8, 13, 21, 34, 55, 89, etc. Therefore, instead of arguing over whether a story is a 7 or an 8, you can quickly agree that it’s more of an 8 than a 5, but not a 13-pointer. In Planio, you can switch on story points by going to Administration → Agile Board and selecting Story Points as the estimate units. Then, select which trackers should use story points. For example, you could have a tracker called User Stories that is the only one that uses story points. Alternatively, you can use story points for all trackers. Now, you’ll be able to assign story points to issues when you create them. You can display story points on cards on the Agile Board, and you can have story points as columns in the issue list. You'll also have story point burn-up and burn-down charts. Click on Add filter, select Sprint/Milestone and set it to the current sprint, so you can see the charts as they relate to the current sprint. 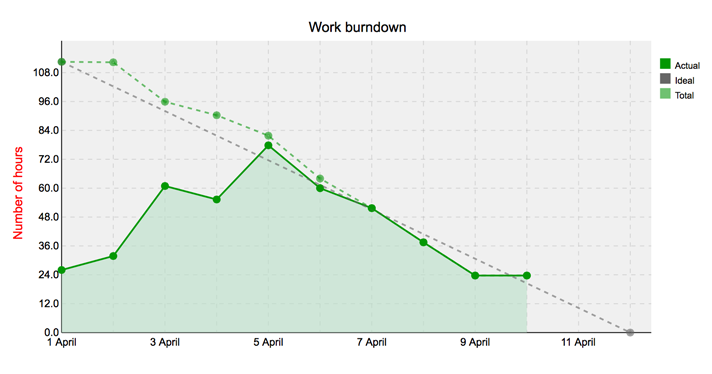 Burndown charts show you how a project is progressing. They highlight the impact of adding new feature requests, and they'll let you know if things aren't going according to plan. 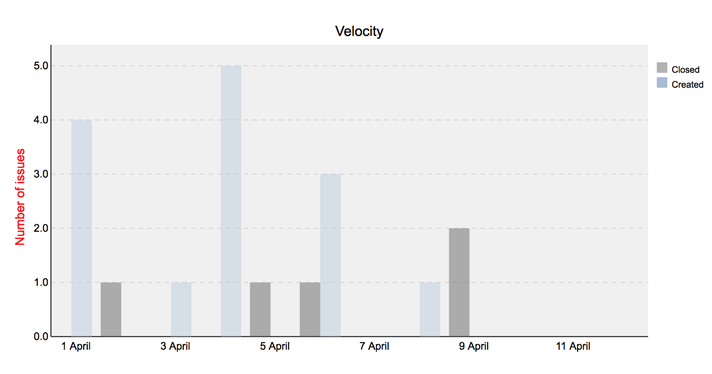 The velocity chart shows you the output of a team per sprint. Lead time is the time between an issue being opened and being closed. 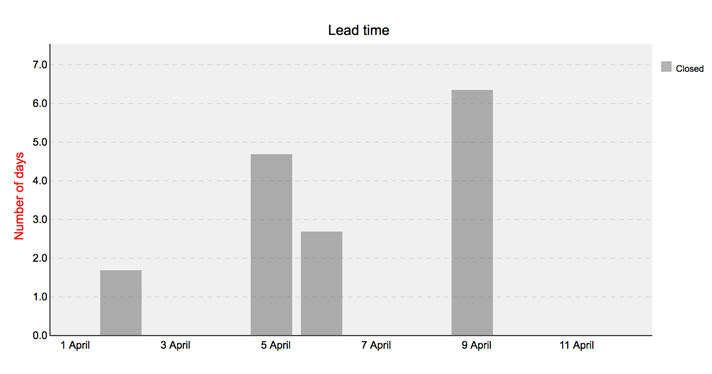 Teams using a Kanban approach often favor this method over the velocity chart, and they'll focus on improving the lead time rather than velocity. 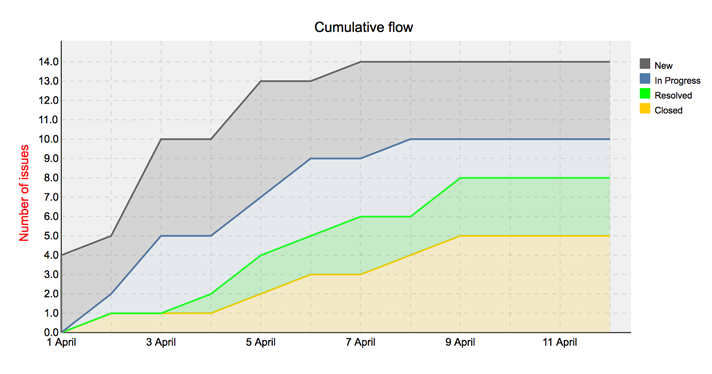 Cumulative flow shows how issues are 'flowing' through different statuses. Are issues reaching their final state? Is there a particular status that's taking a lot of time? How long does it take you to go from an idea to value? Is the scope of the project changing over time?